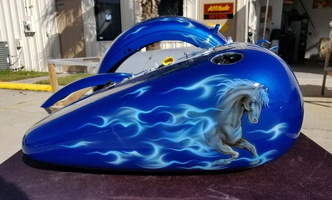 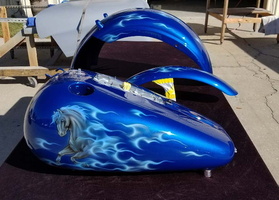 We painted the blue basecoat on this job and a local artist airbrushed the horse and realfire graphics on the set - came out beautiful! 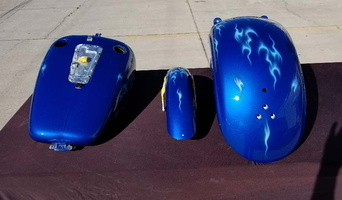 See photos of the bike put back together in our Customer Rides section - reference CR5626. 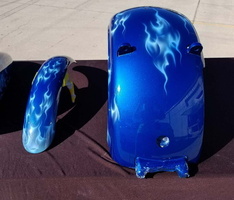 Customer Name: Steve and Tracy P.